Death goes in and out of fashion. 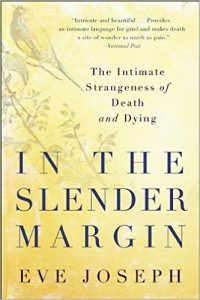 The topic lingers behind euphemisms for a few years, and then someone calls it forth again: Elisabeth Kübler-Ross with her disciplined On Death and Dying in 1969; Susan Sontag with her angry but profound Illness as Metaphor in 1978 and the empathetic follow-up AIDS and Its Metaphors, in 1988; Derek Humphry, implausibly, with his suicide handbook Final Exit in 1991; Sherwin Nuland with his magisterial How We Die in 1993; more recently, Joan Didion with her agonizingly precise The Year of Magical Thinking in 2005; and Atul Gawande with his humane Being Mortal in 2014. Each of these books argues, one way or another, for a continuum between life and its conclusion. The gloss of youthful vitality can persuade us that life is for the living, but life is also for the dying, and repudiating that ultimate punctuation escalates our anxiety and deprives us of final dignity. Time and again, we must clarify our individual and collective beliefs about how the last chapter changes the rest of the narrative. “Or not to be” is not in fact a question. These recent weeks have seen the publication of five books about death: one by a historian; two by hospice workers; one by a widow; one by a man who is dying himself. Several of them quote Dylan Thomas’s “Do Not Go Gentle Into That Good Night” to advocate resilience, then map the fine line between denial and succumbing. 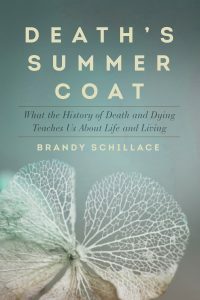 In Death’s Summer Coat, Brandy Schillace complains, “The modern Westerner has lost loss; death as a community event, and mourning as a communal practice, has been steadily killed off.” Examining rituals of bereavement across cultures and across time, she suggests that everyone else has been better at the rites of farewell than we are. Our postindustrial disavowal of mortality is described by Simone de Beauvoir, who wrote, “For every man, his death is an accident and, even if he knows it and consents to it, an unjustifiable violation.” Schillace, a research associate at the Dittrick Museum of Medical History, points toward the confusion that has emerged in a technological age when brain death, heart death and other definitions becloud our understanding of expiry itself, observing that by current legal definitions, the same person could be alive under American law and dead under British law. We don’t know what death means or even what it is. If the last days of any journey, even a pleasure trip, are usually shadowed by psychic preparation for the return home, then why, she wonders, should we so often die unready? Regardless, preparation is never adequate, and Joseph confesses regretfully that when her mother was dying, all her earned expertise went out the window. “Buck up, buttercup,” she couldn’t keep herself from saying. “You’ll be better in no time.” Her most persuasive proposition is that the internal processes of grief and the external ones of mourning are dynamically opposed. She is bemused by the modern tendency to eschew solemn funerals in favor of rapturous commemorations of the deceased person’s life, events that are often so exuberant that they might be confused with weddings. “The emphasis on celebration seems far removed from the bewilderment of loss,” she writes. Her patchwork quilt of a book interweaves occasional New Age banalities with real insight to achieve a somehow pleasing totality. 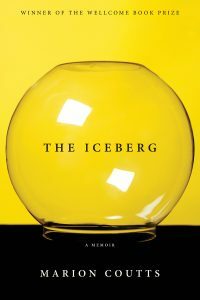 The Iceberg is Marion Coutts’s stunningly fierce, wise, impossibly gorgeous account of the death of her husband, Tom Lubbock, from a brain tumor. At the time of his diagnosis, he was just 50, and their only child, whom she calls Ev, was a toddler. 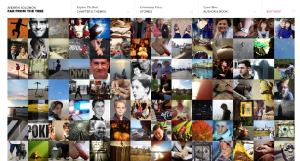 Her book is a narrative of the two years that followed. It is difficult for any of us to be fully honest with ourselves, with those we love or with those we don’t know. We protect ourselves by obscuring our experience, but we imagine that if we could get through our own veils, we would find an underlying honesty that is simple, stark, handmade. Coutts’s honesty is not like that. It is ostentatious, even a touch melodramatic, but there is grace in her very theatricality, in her arresting and sometimes willfully stretched metaphors, in her hard but vulnerable wit that is often mordant but never bitter. When she wants pity, as she often does, she asks for pity; when she pities herself, she lets the reader know. But her writing itself contains no self-pity. She will not let you trivialize what has happened to her. Coutts’s prose blinds and burns you, but it is also purifying. It is like that moment when an optician finally drops in the correct lens and you suddenly read the chart to the final line. What shimmers even more brightly than Coutts’s honesty is the force behind it: the quality of her love for her husband and son, and the intensity of their love for her. Though her book is a chronicle of agony, one almost envies despair that is so contingent on cleareyed ardor. The book’s truth is so pure and compressed, as though Coutts had condensed the coal of her experience into a diamond. Encountering it is like a near-death experience, at once traumatic and profoundly, permanently illuminating. Love itself is in these pages: not a representation of love, but love, pure and simple. The book reeks of it. The neurosurgeon Paul Kalanithi Iearned he had lung cancer when he was 35 and died two years later, in March 2015. When Breath Becomes Air is his meditation on the reversal of roles when a doctor becomes a patient. It has an aura of the best kind of earnest conversation that kept you up all night in your early adulthood — but it transcends that potential callowness with its Keatsian sense of impending mortality. Kalanithi died too soon to recant the insights that come with the gradual discovery of one’s own consciousness, and his book is suffused with a proleptic nostalgia for a youth still in its efflorescence. That truncated youth is touched with youth’s particular wisdom. Though Kalanithi lacks Coutts’s Shakespearean nuance, he is a literate, first-rate reporter in the vanguard of a modern battle, and he writes with the urgency of his looming incorporeity. Others might not run the distance with that gift, but Kalanithi grows his soul as his body wastes away. His transformation is shaded by his return to religion. “Science may provide the most useful way to organize empirical, reproducible data, but its power to do so is predicated on its inability to grasp the most central aspects of human life: hope, fear, love, hate, beauty, envy, honor, weakness, striving, suffering, virtue.” Kalanithi’s brilliance lies in the word “predicated.” It is not simply that science by happenstance fails here, but that its very parameters contradict psychic and spiritual complexity. To reckon with death, one has to understand both the science and its incompatible complement. Kalanithi began as a doctor; in these ­pages, he becomes a humanist. 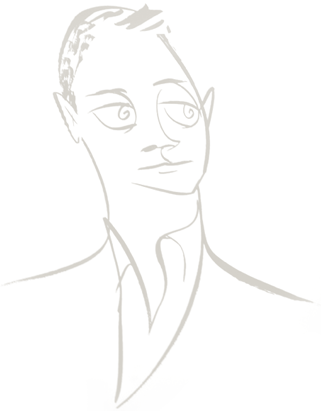 In his final chapter, he recounts: “In English, we use the word time in different ways. ‘The time is 2:45’ versus ‘I’m going through a tough time.’ But now time feels less like the ticking clock and more like a state of being. .?.?. Everyone succumbs to finitude. .?.?. Most ambitions are either achieved or abandoned; either way, they belong to the past. The future, instead of the ladder towards the goals of life, flattens out into a perpetual present.” Kalanithi is not, however, imprisoned in that present because he and his wife made the radical decision to have a child after his diagnosis. 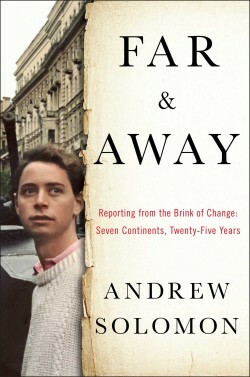 He recounts the discovery of his child, Cady, to whom the book is dedicated, even through his own decline. Like Tom Lubbock’s, his passing is twined with someone else’s emerging, creating the narrative of birth and death that is the only story in literature. We strive toward intimacy in anticipation of loss. We strive toward intimacy in anticipation of loss. If my father, now 88, were destined to live forever, and if I were destined to live forever, too, then our affection would be stripped of its poignancy and urgency. If my children were destined to stay indefinitely 6 and 8 years old, I wouldn’t cling to their childhood for its sweetness; nor would I endure its liabilities with the reassurance of imminent maturity. The cornerstone of optimism is the willingness to believe that the inevitable is desirable. There is no other fruitful point of view. To say that books about death are morbid may seem a truism, but of course, most books are about death. They deal directly or indirectly with the contrasting temporality of experience and the relative permanence of the written word. 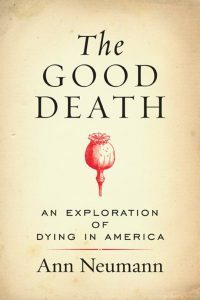 The shared supposition of Schillace’s, Neumann’s and Joseph’s books is that we are not so good at death as we used to be, that modern medicine has stripped mortality of its necessary mystery. The evidence of the two memoirs is that we can die or lose others beautifully, even while trying as hard as we can to prolong life. Perhaps we are in denial about death, but perhaps it is being in denial about death that pushes us toward faith. The language of “eternal life” seems to have been among religion’s chief selling points. My own view is that we are neither better at dying nor worse at it than we once were. I am grateful to live in a time when medicine has given us more time together. I would prefer not to have a final eight months of heroic measures that leave me in fruitless pain, but I am in favor of longevity. Life would feel short even if we could expect to live two centuries. 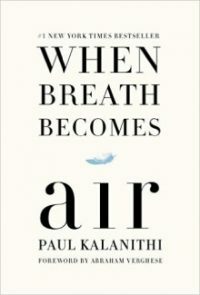 What Paul Kalanithi and Marion Coutts demonstrate with ringing lucidity is that while no science can mitigate the finality of loss, anyone who is fully alive to his or her death need not worry that its meaning will be lost. The transience of life is the engine of its meaning. Believing that may be only our way to make the best of a bad situation — but what a way it is. Illustrated. 266 pp. Pegasus Books. $26.95. 240 pp. Beacon Press. $26.95. 211 pp. Arcade Publishing. $22.99. 272 pp. Black Cat. Paper, $16. 228 pp. Random House. $25.